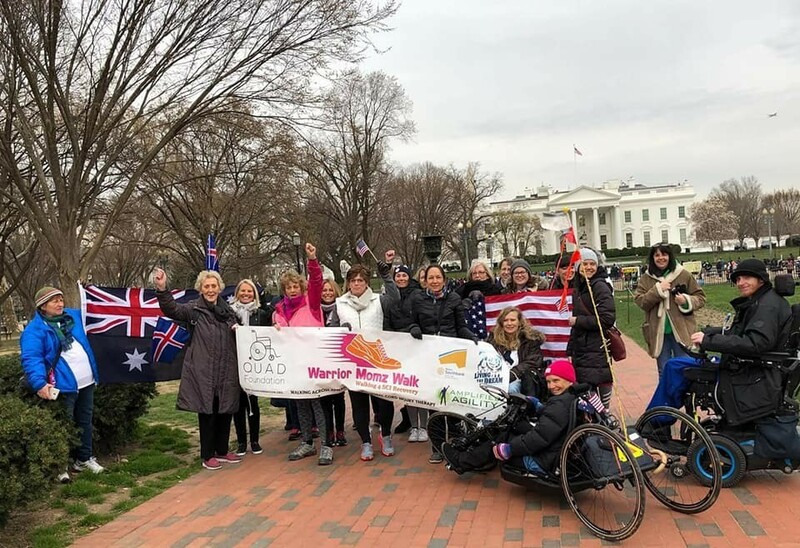 Moms on a Mission Unite at the ‘Warrior Momz’ Walk & Roll on D.C.
“Warrior mom” Kay Ledson ended a 3,090-mile walk across America in Washington, D.C. on March 12. 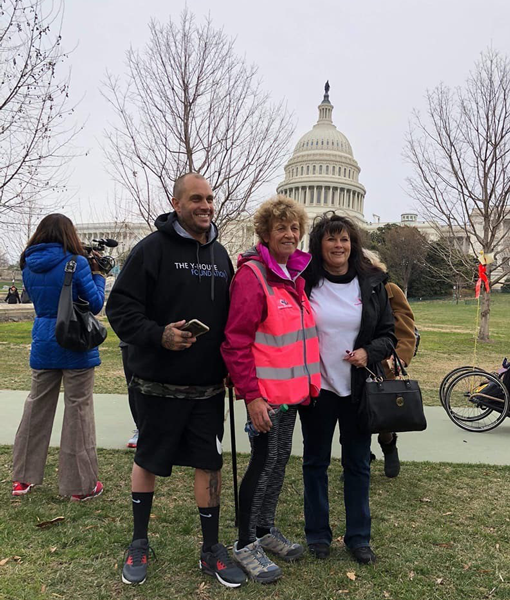 There she met up with her son and the inspiration for her walk, Josh Wood, who regained his ability to walk with a cane through activity-based therapy after a spinal cord injury. Ready to receive them stood an army of fellow “Warrior Momz”, their sons and daughters, advocates, friends, supporters, and nonprofits from across the country – including Help Hope Live. 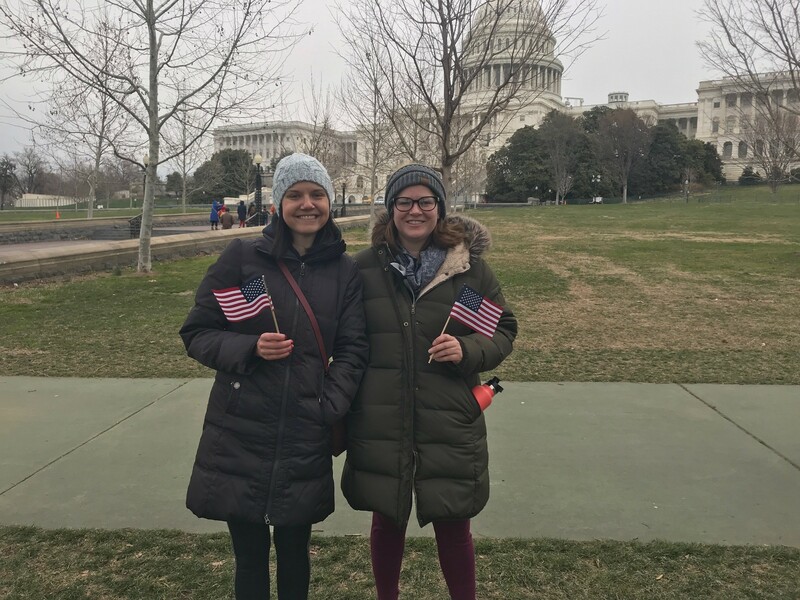 Two Help Hope Live staff members made the trip to D.C. to meet with Kay as she fulfilled the final component of her mission: to meet with legislators in our nation’s capital to urge them to support legislation to help individuals and families impacted by spinal cord injury gain better access to care. This is what Shannon and Sonny experienced during their memorable meeting with the Warrior Momz. Kay, center, with her son, Josh, and fellow Warrior Mom Jackie. Our client Denny Clancy and his family (center) with Kay and her sister Susan. – We even encountered an international delegation: The Institute of Spinal Cord Injury Iceland! 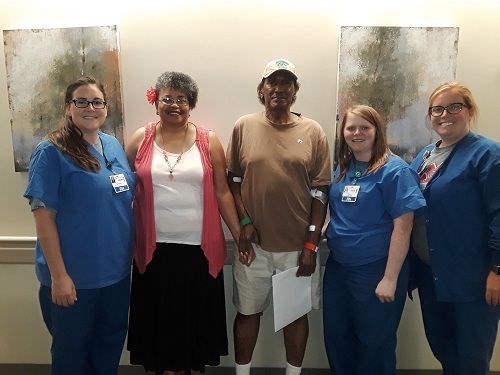 One outstanding connection: we got to meet Help Hope Live client Denny Clancy on the second anniversary of his spinal cord injury, along with his mom, Carolyn Pascale, and sister, Kelli. 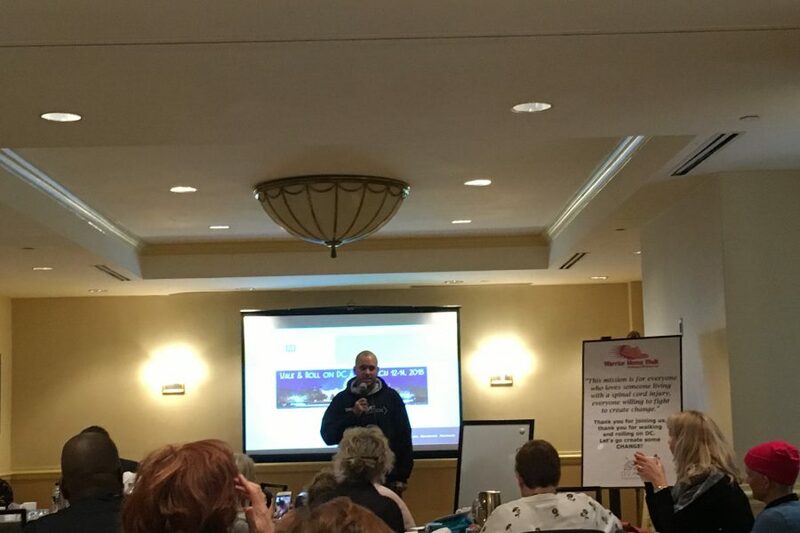 Josh Wood shared his story during our advocacy training. 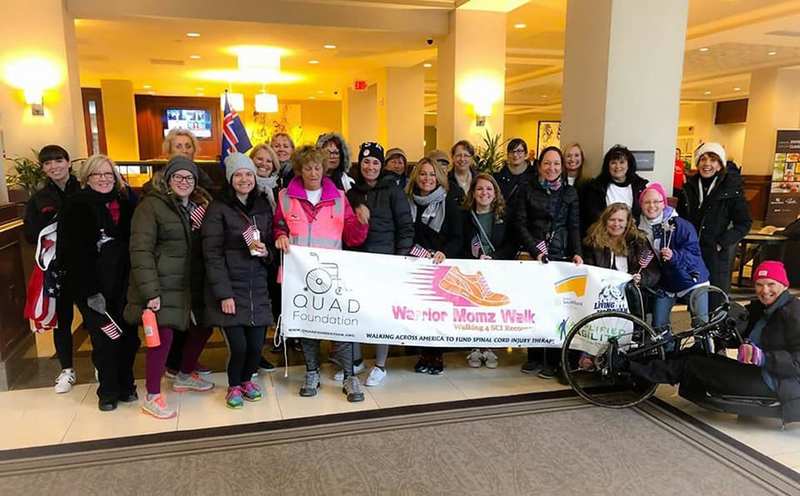 Kay Ledson spoke to fellow Warrior Momz about her journey, drawing comparisons to what it's like to live with a spinal cord injury. 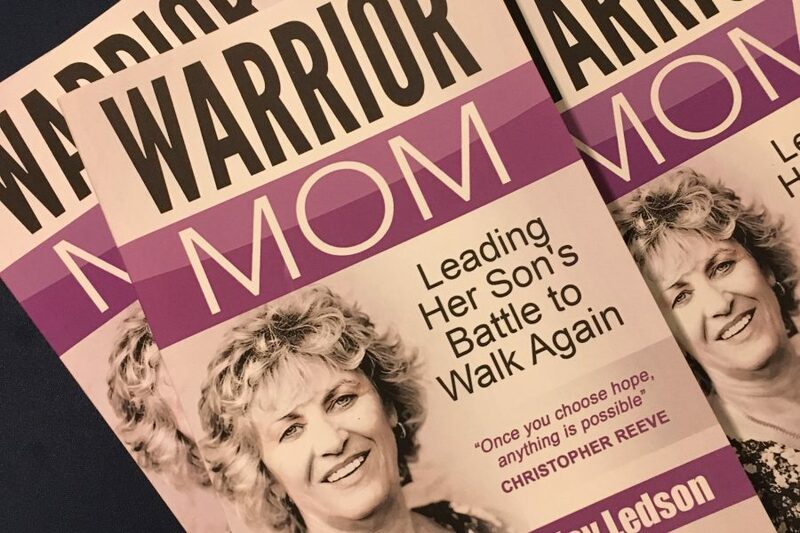 Kay signed copies of her book for fellow Warrior Momz. 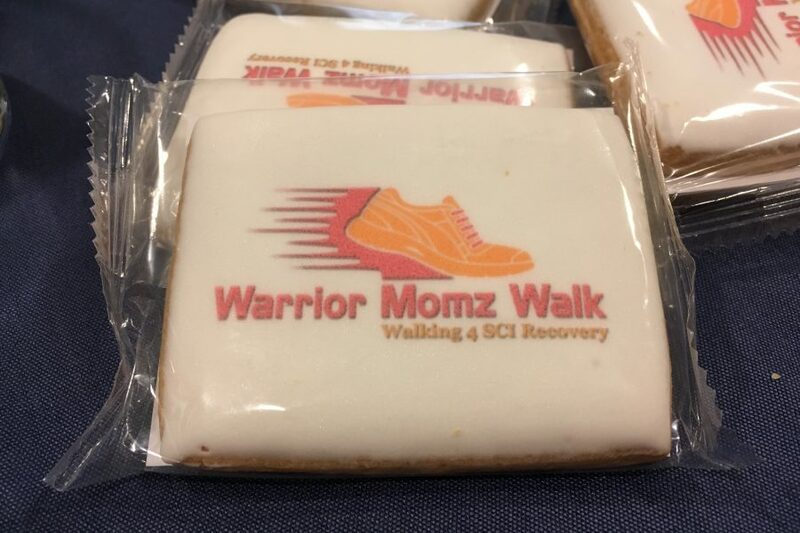 We enjoyed custom Warrior Momz Walk cookies! 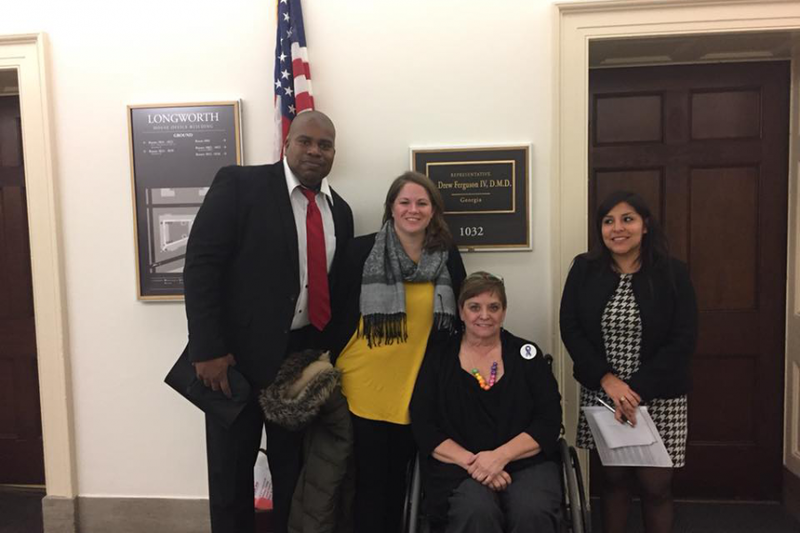 We advocated for key legislation to support people living with paralysis, including H.R. 626. 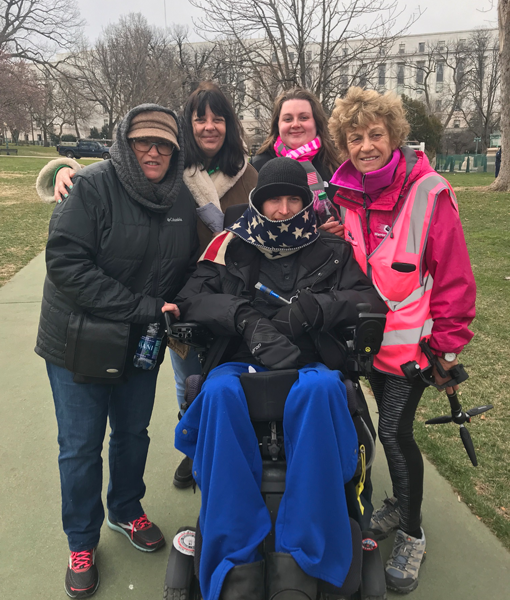 Our goal was to show support for Kay and other families facing spinal cord injury by meeting with legislators and serving as direct advocates. 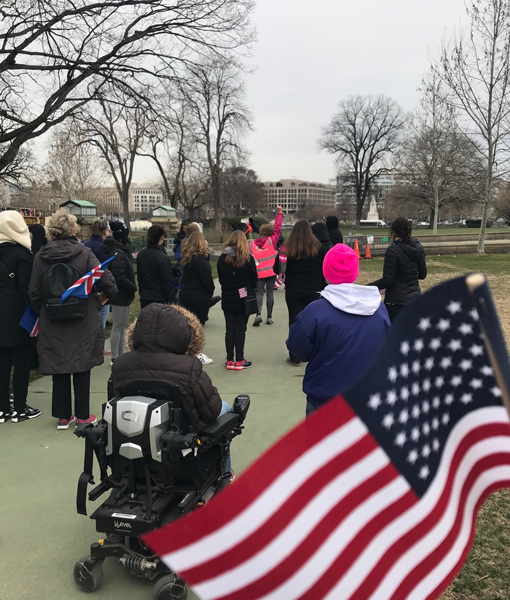 The event began with a march from the Capital Hilton Hotel all the way down 16th street past the White House to Capitol Hill. 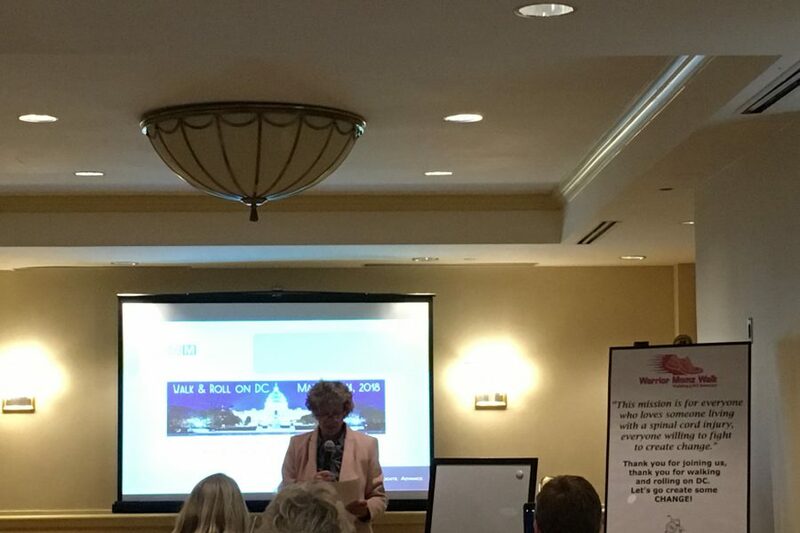 After receiving training on the key legislative issues at stake and best practices for engaging potential policymakers, we began meeting with political professionals in personal sessions. Help Hope Live’s sessions included meetings with the staffs of Ohio Senator Rob Portman and Representative Jim Jordan, Georgia Representative Drew Ferguson, New Jersey Senator Cory Booker, and Virginia Representative Bob Goodlatte. 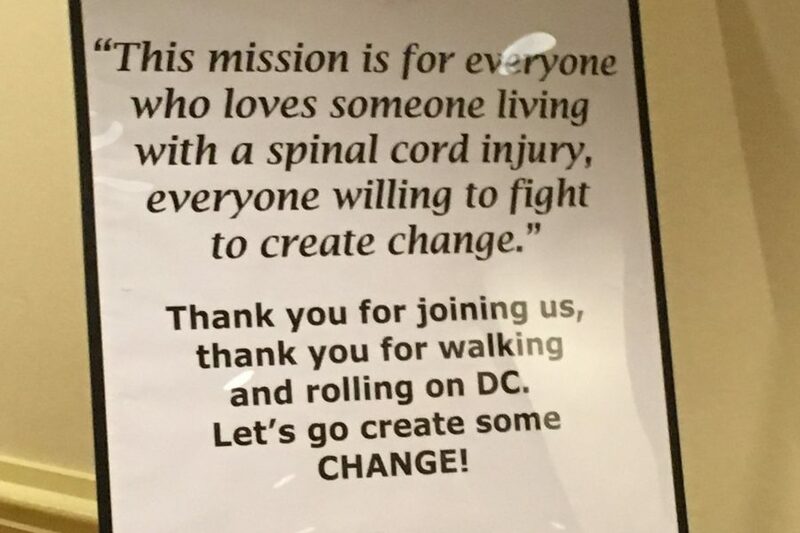 During the Walk & Roll on D.C., we gained new insight into issues affecting spinal cord injury families, learned about related legislation, and witnessed firsthand how average people can come together to affect real change and make life easier for these families facing a lifelong medical condition. We were incredibly moved by the immense power of the network of families affected by injury and how they support one another. 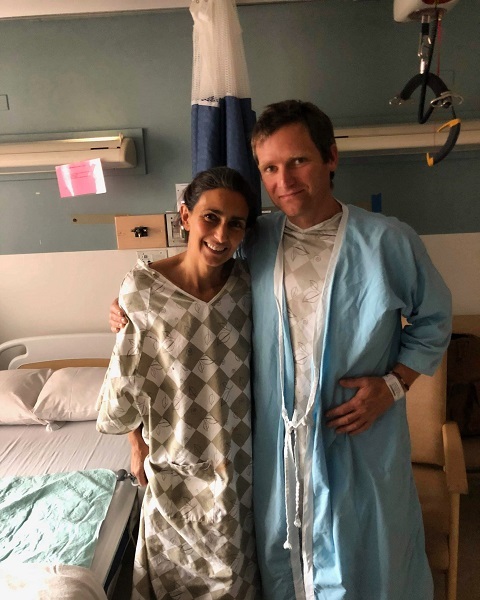 We were repeatedly told how often families facing spinal cord injuries are sent home from the hospital with scarce resources to help with the daunting transition. They find the majority of their strength and support from other families, support groups, online resources and support forums, and social media. People who have experienced these injuries support, educate, and lift one another up time after time. Resource organizations and nonprofits like ours are rising to the occasion – the United Spinal Association alone now has 50 chapters and offers peer and family mentoring, and efforts like Kay’s cross-country walk make it possible for more families than ever to access life-enhancing therapy and other vital resources insurance doesn’t fully cover. 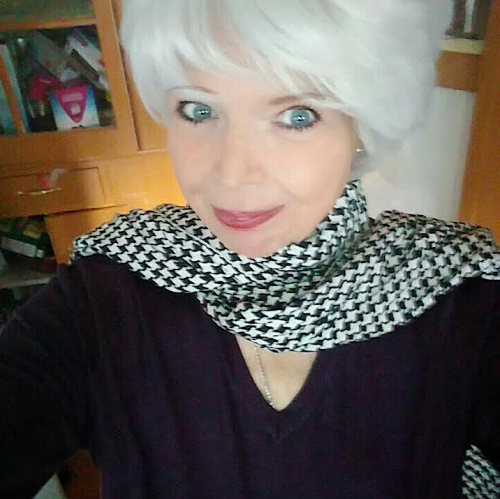 “Never underestimate the power of a determined woman” – or her forceful community of allies! We look forward to the next opportunity to meet and advocate for Warrior Momz (and Dadz) and their families.